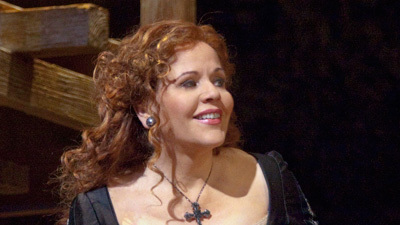 The fourth Handel opera to enter the Met repertoire, Rodelinda stars Renée Fleming in the title role of the Queen of Lombardy and grieving widow of King Bertarido (countertenor Andreas Scholl), who furiously rejects marriage to Grimoaldo (tenor Kobie van Rensburg), the usurper of her late husband’s throne. 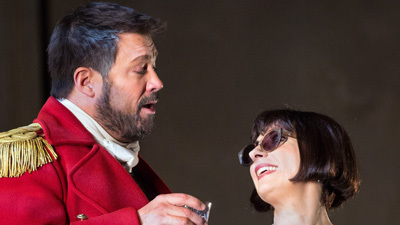 Plot complications come thick and fast, among them the revelation that Bertarido is alive, with the characters’ emotions exquisitely expressed in Handel’s alternately lyrical and virtuosic arias. The stellar cast also includes Stephanie Blythe and John Relyea. Conductor Patrick Summers leads this thrilling performance.